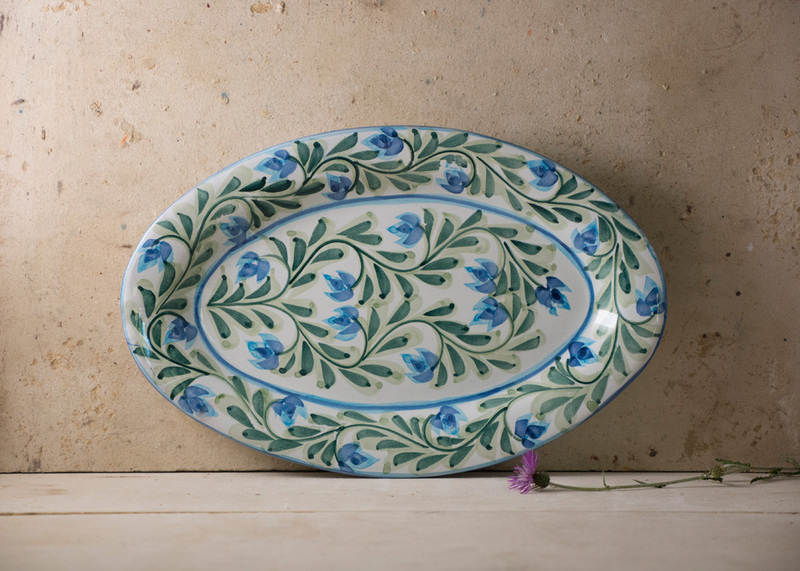 This large oval platter works just as beautifully for nibbles at a garden party, as it does for serving a grilled fish or a roast lamb on Sunday. This piece makes an excellent gift, and because it is a high quality piece of ceramics it should last a lifetime. Consider pairing it with some small plates for buffet dinners, or dinner plates for use at table.